We had the pleasure of speaking with Carey Lindeman, founder of Welcome Baby Care to discuss postpartum care and her pioneering postpartum doula service in the Twin Cities. Many people don’t know what a postpartum doula is or how they can help. Hopefully, this interview will shed some light on this invaluable and unique type of postpartum support and what amazing doulas, like those at Welcome Baby Care, can offer. While a lot of people have heard what a birth doula is, not everyone has heard of or understands what a postpartum doula is. Essentially, what a postpartum doula does is come into a family’s home after the birth. Our first priority is taking care of the mother and making sure that she is healing properly and bonding with her baby. So our goal is to relieve her of the things that would normally be overwhelming her. Whether that be laundry, changing the sheets, keeping the bathroom clean, cooking, maybe running errands. So there is that piece and there is also the education piece where we educate on taking care of baby—you know, best practices, what’s normal, what’s not, as well as what is normal and what is not in her own recovery. So a lot of the questions she may call the doctor about or wonder about, we are able to help with and so help her with the transition into a more confident parent and navigating all of the unknowns. Having this support can speed up the process of becoming a more confident parent and bonding with your family, staying connected with your husband, all those things you are negotiating during this tremendous transition. What does a typical doula visit look like? piles of unfolded laundry, or mom may need some hands on help with the baby or with breastfeeding). She is not going to ask, “what can I do” but instead will assess and do what needs to be done. She may ask things like “Have you had anything to eat today?” to mom. Usually what a doula will do is prepare snacks for the day for when mom is feeding, she’ll prepare food for later, she’ll clean up, and essentially her goal is to create a very stress-free environment. And, you know many times a doula is walking into chaos, there may be multiples or other challenging situations. A doula’s role is to put a “calm” on the situation. What about if there are older children there, how does that look with a postpartum doula? With other children, what a doula will do is find a way to entertain and manage them while mom needs to be breastfeeding or napping or whatever she needs. But she also finds ways to incorporate the family together. So it isn’t just a separation of mom from partner and other children. Sometimes, for example, the doula will make a snack and ask dad or an older child to take it to mom and sit with her. We are always trying to foster family bonding. Great, and what about that overnight postpartum doula service you mentioned? Yes, going back to our overnight care, this looks a little different. This is a separate service and definitely our most popular. A typical overnight shift will begin at about 9 or 10 at night. Mom and partner are off to bed immediately and we take over from there. We are with the baby. Mom may choose to pump and have us feed the baby or maybe she wants to breastfeed. In that case, we would console baby for as long as possible, then bring the baby into her, she can breastfeed, and then we will change the baby and put him or her back to bed. So we are with the baby all night long while the parents sleep. The doula will stay as long as the family wants them in the morning but a typical shift ends about 6 am or so. A lot of times we leave when everyone is sleeping. And mom can get up with baby whenever that is. What does service typically look like for a new or growing family—how often do people need care, is it different for everybody? You know it is different for each family, depending on if there are multiples or not, if it is a first child, etc. We do have packages offered on our website that give some examples. And I would say that most people buy one of our packages. Probably in the next few weeks people will be able to purchase these right from the website (as well as our classes). What does the training look like for a postpartum doula? We have our own postpartum doula training and certification program. We have an excellent trainer formerly from Fairview and she has developed a certification program. We felt that a lot of postpartum doulas coming to us as DONA-trained doulas (birth doulas with a piece of postpartum education) had great training but that it didn’t go far enough. We wanted more extensive training. So we developed our own specific postpartum training program. People can go through it and not necessarily work for us, though there is always the option to interview with us, while other people will work independently or just want to learn this information for their own benefit. We give people a max of 6 months to go through the program and there are 4 components: reading, classroom training, shadowing a doula, and pro bono work for moms in the community that need help. The details of the classroom training content can be found on our website. How did Welcome Baby Care come to be? One of the unique things about our service is that we also do senior care—so we are kind of a full spectrum in-home care provider. 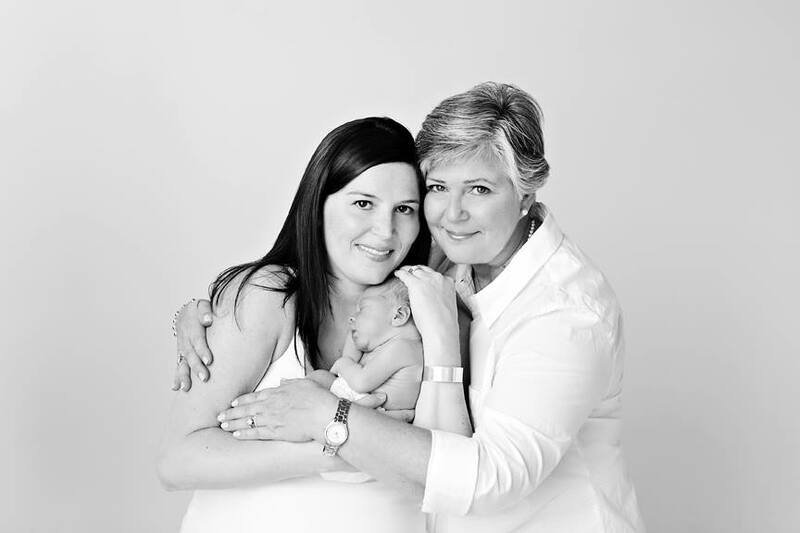 How Welcome Baby Care started was with this senior business. When my stepdaughter was having her first baby—and I have raised four children myself—I was there as a grandmother I thought, “I’m really rusty—I don’t really have all the answers to help out.” So what occurred to me at that time was, just like seniors, new moms need support, everybody needs a doula. And its just one of those things, you know it’s the same type of care, the difference is the type of caregiver. But it is still that turbulent time in people’s lives where they don’t know what they are getting into. It’s so new. So that is when we decided to have these two ends of the care spectrum (we split these into two sister companies). And that’s how it came about. Then I discovered that a doula with her expertise, the sixth sense they have…those were the kind of people that I wanted to do this care. They are just so loving and caring and have such a heart. Can you tell me more about the doulas you work with? The doulas are hand picked and multi-talented. They all have their own gifts; they are all different in so many ways. They are all doulas but they all have special additional gifts that they can offer. So when we are interviewing with families, what’s great is that we have this whole team to pick from, not just one person. So we can really assess what the family needs and hand pick the doula or doulas that are going to be the best fit. Another great thing about having a doula team—and all of our doulas are our employees, none of them are contract—is that we have ongoing monthly training. So we may have speakers come in, and there is always a discussion session. If there is ever something with a family that they maybe have a question or concern about, it’s all confidential, but they also have this team to talk with and get support from. So they are not trying to figure things out all on their own. And what’s really important is this ongoing training component. When they go into a home, we always want that continuity of care. So when you hire our doulas, you are not going to get someone different every time. You are going to get the doula or two that are the best fit for you (# of doulas per family depends on # of hours needed). What other services does Welcome Baby Care offer? As far as our classes go, we offer a gamut of breastfeeding classes. We have Breastfeeding 101, which is “the basics”. The 201 class is not just breastfeeding or bottle feeding but also weaning, starting solids, and those types of things. We also have a Grandmothers class, which is really popular. This is where the expectant mom and her mother and/or mother-in-law come to class together. And they talk about the differences between when grandma had the babies versus now. A lot of new things that are happening, such as back to sleep and feeding and equipment, and all those things that may be new that grandma may not know about. Kind of breaking down the barrier of her knowing what is important, and what mom feels is important, because often grandmas play a large role in raising the new child. So with the help of this class, they are not going into it with preconceived ideas, barriers, and walls and not really discussing it. And it’s learning on both ends—both the new mom and the grandma. It’s a combination of education and facilitating communication between the generations. What if you are not sure during pregnancy whether you want or need a postpartum doula? I would suggest pursuing it. We are here to answer all questions without any strings attached. And maybe its not even postpartum services she may have questions about. We also have a separate lactation service so maybe if she is feeling uncomfortable about breastfeeding and has questions, you know she can ask without being locked into in-home services. I think that it’s worth attending one of our classes. We help provide a postpartum plan. You know a lot of people make a birth plan, but not always a postpartum plan. And we help you develop a plan, which covers things you should be aware of postpartum. And again, consider calling and asking questions or even interviewing someone just in case, because again no strings attached ever. People don’t always realize the importance of having that care. You know, in other countries, people have their families and they have people helping them and we just don’t have that in this country. The lesson is from second world nations that really know how important extended family care is. What if you are sitting at home one week postpartum and you realize you need some help. Is it too late to call a doula? It’s never too late. We answer our phone 24/7. I get calls during the night. Calls come in when people are in the hospital or are feeling like they need to go back to the hospital. You know, I got a call from a mom recently, I couldn’t even understand her. She was so tired and so overwhelmed—it was four in the morning—and I was trying to get information and finally I just asked: “Do you need help right now?” She asked if we could call her back in the morning at nine. So we called her back and she was so overwhelmed. But we were able to help her. So anytime, we are available for new moms. We want you to call us. What advice might you have for pregnant mamas? No expectations. I mean, plan, but have an open plan for how the postpartum is going to look. I think one of the most damaging things about our social world and the media is they put such high expectations on new moms and I think that is a mistake. To buy into that and listen to too many people ahead of time and have all these expectations and lofty goals is a mistake. You know, take things a day at a time and realize that, more than anything, you just want to have time for that baby, and give them everything they need. But don’t have this idea of what its going to look like—like you’re going to lose weight, you’re going to look like this, you are going to have all the perfect equipment and clothes, and everything is going to look perfect and composed, and then buying into what all your friends are saying. You know make sure you know who your support people are: get the support. But don’t surround yourself with people who tell you how you need to be—just get that loving non-judgmental support. And know, too, that we come in with NO judgments—mom can decide and parent the way she feels is right. You know, we will guide and support but we will not judge. That’s the biggest thing—you do not want judgment around you because it is just toxic. What advice do you have for new mamas, who are maybe going through the postpartum period right now? For them, I would say, the same information applies. You need the support of other people. Do not isolate. Get the support. Find those people that don’t have expectations for you. Because you are the parent and you know your baby better than anybody and you need to be the one to make decisions. You know, 10 or 20 years from now, it is going to be your decisions that matter, not anyone else’s. So I think you need to really look at your own “mama guts” because you know. And don’t think you don’t know because you DO know what is best. And also, there are so many good resources out there, so take advantage of these great resources. And plenty of rest and relaxation, and try not to put too many expectations on yourself. You can contact Welcome Baby Care on their website or by calling 952-942-5676. Join us next Tuesday October 1st from 10 to 11 am for a free 1 hour class in which we will discuss posture, strength, and flexibility changes that occur during pregnancy and after delivery. We will demonstrate correct alignment for standing, sitting, bending, lifting, nursing, and pushing strollers to protect joints from strain or pain. Participants will also be led through exercises including breathing to restore ribcage position, correct abdominal strengthening, gluteal exercises, kegels, and stretching of tight muscles. Please come in comfortable clothing and feel free to bring your baby.